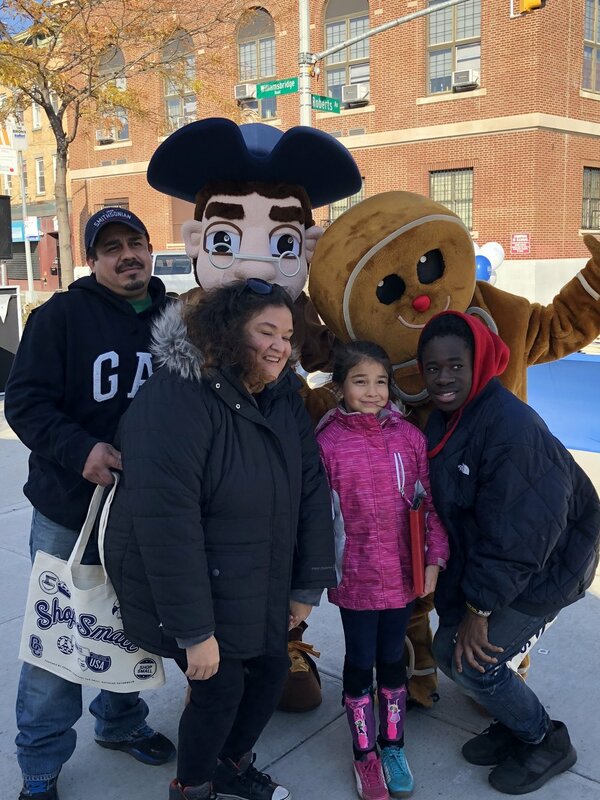 Community members posing with Wes and the Ginger Bread man! People line up for a peek inside the first ever pop up shop. Our first ever pop-up shop at the center of the Square! Our Chairman, John Bonizio, posing with the Ginger Bread man in support of Small Business Saturday. Metro Optics rep, Sara Bonizio, poses with Small Business Saturday goodies. Lovely LOVIE! the very special lady behind Morris Perk which was provided at the #ShopSmall event.